Tribute to Horror Host Ghoulardi! While Vampira & Zacherley are often thought of as the “mother and father” of all horror hosts, many prominent Midwestern hosts can credit their true lineage to Cleveland’s Ghoulardi. Never taking himself nor his film presentations seriously, radio announcer/disc jockey Ernie Anderson would create an irreverent template of wit and sarcasm many hosts still use today. Today’s viewers take for granted the criticism of a “Z-grade” movie being presented by a host, or playful jab at a celebrity. To a 1960’s audience, however, this was virtually unheard of. 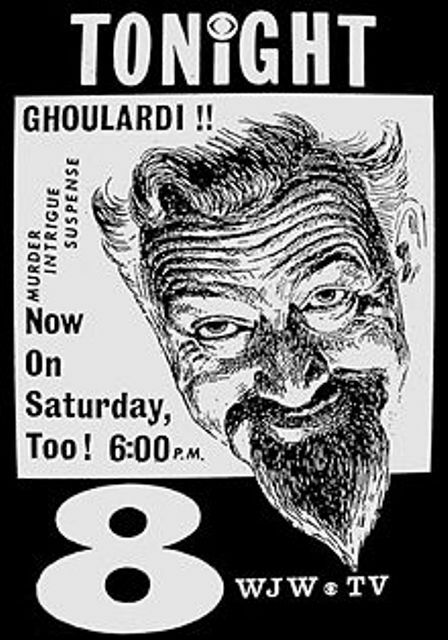 Ghoulardi appeared as a disheveled beatnik, completely unafraid to bash the local establishment. Rarely following a script, and often being aired LIVE, Station management held their breaths wondering what their unlikely new sensation would say on air. Ghoulardi’s reign (three years) may seem relatively short, but he was to spawn two major protege’s; one was “The Ghoul” who would retain many of Ghoulardi’s physical traits (with Anderson’s blessings) and the other was the original Jerry G. Bishop, Svengoolie, who worked at a Cleveland station during the height of Ghoulardi’s popularity. 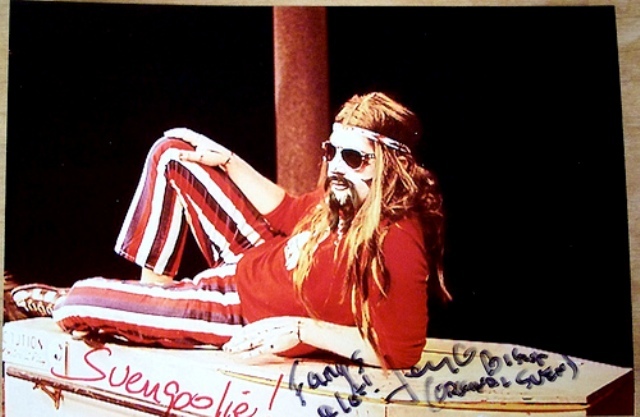 While Marvin was Chicago’s host at the time, he was never the influence on Svengoolie that Ghoulardi was. Just as Ghoulardi routinely made fun of the Ohio town of Parma – Svengoolie made the Chicago suburb of Berwyn his target. 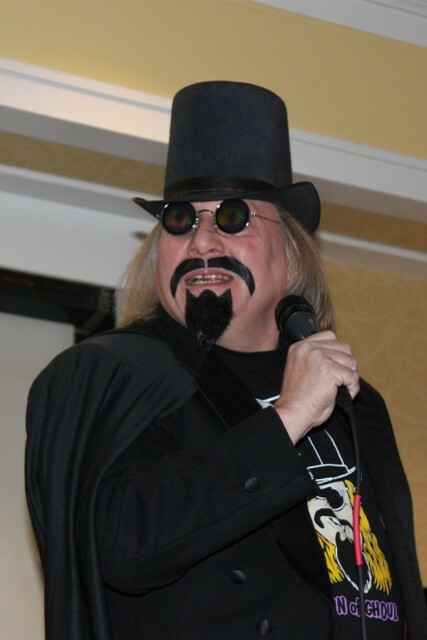 This practice can be traced back to Ghoulardi and is still alive via the current Svengoolie – Rich Koz. His practice of blowing up plastic models would live on via The Ghoul. Despite their shared ancestry, The “Ghouls” and the “Goolies” would not always have a harmonious relationship (but that’s another story). At last year’s Horrorhound Weekend in Indianaopolis, Ghoulardi was officially inducted to Horror Host Hall of Fame by Ohio’s Son of Ghoul. Son of Ghoul was, as his name would imply, a protege’ of The Ghoul….how fitting that he should be the one to pay homage to his host “grandfather,” Ghoulardi. In 1966 Anderson retired his Ghoulardi character and moved to California where he would enjoy great success doing “voice-overs” for ABC. Regardless of where he found his fortune, his fame will forever be linked to Cleveland and the iconic character he created. 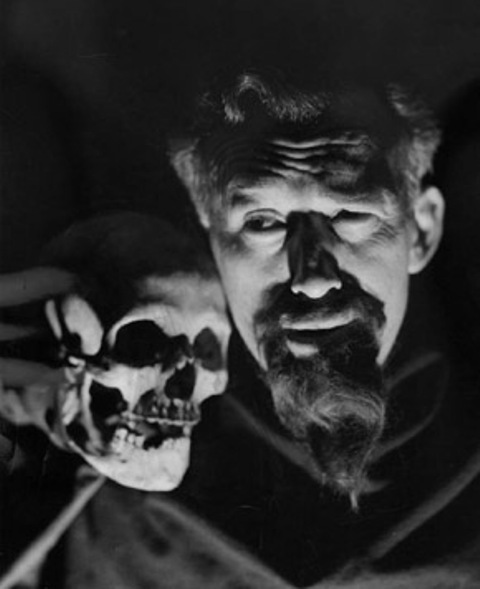 Horror host fans from Ohio, Chicago, and Michigan (where The Ghoul had influence and has links to Wolfman Mac’s Chiller Drive-in) should have no argument with the induction of Ghoulardi to the Horror Host Hall of Fame. This entry was posted in Horror Hosts and tagged Berwyn, Ernie Anderson, GHOULARDI, HORRORHOUND WEEKEND, Jerry G. Bishop, Keven Scarpino, Parma Ohio, Rich Koz, Roland, SON OF GHOUL, Svengoolie, The Ghoul, Vampira, Zacherley. Bookmark the permalink. ← TALES FROM HORRORHOUND WEEKEND: Tom Atkins & The Masks of HALLOWEEN III! Ernie Anderson lived in Willoughby, Ohio on Rt91, 20 miles east of Cleveland. Willoughby was the birthplace of Tim Conway Ernie’s good friend.